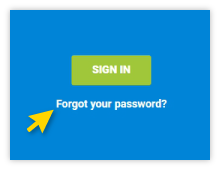 It's easy to sign up for a free account — just click the Join Now button (top right) and provide some basic information. No commitment, and no credit card required. To log into your account, click here (you may want to bookmark the URL for easy access). Alternatively, you can log in by visiting ProseMedia.com and clicking the Login link at the top right of the screen. To log in, you will need only your email address and password. No worries! Just click the Forgot your password? link to receive an email with a one-time link to reset your password. Just contact us, and we'll help you out. From the login page, simply click Request new password. 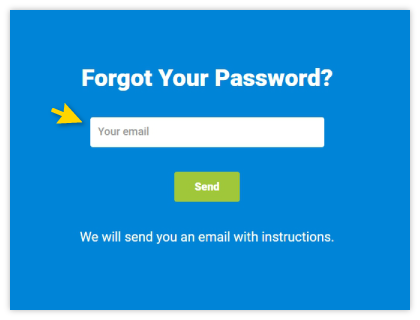 You will receive an email which contains a one-time link to reset your password. The link will bring you to your Settings page. Enter your new password, re-enter it, and click Save. Click Account Settings in the left-hand navigation bar. Then enter your new password, re-enter it, and click Save. After you make your changes, be sure to click Save. I have a general question about my account. How do I get support? If you have a question that’s not addressed in the FAQs, you can easily get in touch with Prose from your dashboard. Just log into your account and click the question mark symbol at the bottom right to open a chat panel on the right-hand side of your screen. Or, to start a new conversation, click the “New Conversation” button and start typing. Let us know what's on your mind, and a friendly editor will get back to you ASAP. Please note that our business hours are weekdays from 10am to 6pm EST. Where can I see my active projects? To make it easy for you to track your content, active projects are organized into different sections of the dashboard according to their stage in the editorial process. Note: For dashboard clarity, only sections that contain at least one project will be shown. As your content moves through the different stages in the process, it will move into different sections on the dashboard. But don’t worry — you don’t need to monitor the dashboard. You’ll receive an automatic email notification for every key stage in the process, so you can handle everything from your inbox, if you prefer. After reviewing it, you can Accept & Continue or Decline. This unlabeled section displays key alerts about your projects -- e.g., when your requested topics are ready to review, or when a draft of your content has been delivered. In this section you’ll find projects that have been delivered to you (either first drafts or revised drafts) and require action on your part. You can click View to read the draft, and then either Approve as-is or Request Revisions. Be sure to perform one of these two actions by the stated deadline (i.e., five business days from the date of delivery), or the project will be auto-approved. This section displays any projects that we’re currently working on and that are slated to be delivered by the stated date and time. As soon as you’ve placed an order, your project shows up in this section, where it waits while we review your requirements and match your project with the perfect writer. Where can I see my completed projects? Approved: The project has been manually approved by you. Auto-approved: The project has been accepted by the system. In this section, among the available options, you can download your documents in your preferred file format(s). How can I find a project quickly? Can I search for a specific project? Yes. Your dashboard offers a keyword search to quickly locate any piece of content. Just start typing a word or phrase. Only the matching project(s) will appear. How can I tell one-time orders from recurring orders? Like many clients, you might have a mix of projects — some ordered on a recurring basis (e.g., weekly blog posts), others ordered only once (e.g., a single video script). What are the pale green banners that sometimes appear at the top of the page? For each alert, you can click on the green button to visit the relevant section. The alert will remain on display until you perform the action. If I need an extra level of support or special services, can Prose help? We look forward to learning more about your specific needs. Please contact us to learn more about our suite of "managed services." As a reminder, Prose offers basic, free account management services for all content ordered. These services include personalized writer matching, in-house editing, and ad-hoc support from your editor. The majority of writing services and agencies charge hundreds or thousands of dollars for these extra services — but not Prose. Even so, some clients want to go further. Perhaps you want extra help preparing your content brief or strategizing your content campaign. Or, you may wish to enjoy an even higher level of personalized support and guidance, including consultation calls. We provide a range of supplementary account management services for an additional fee, typically on a monthly retainer basis. We look forward to hearing from you to discuss options. I'm not receiving any (or some) email notifications. What should I do? 1. Check your spam folder. The emails may be going to spam. 2. Whitelist our email IP on your server. Please contact us for help. 3. 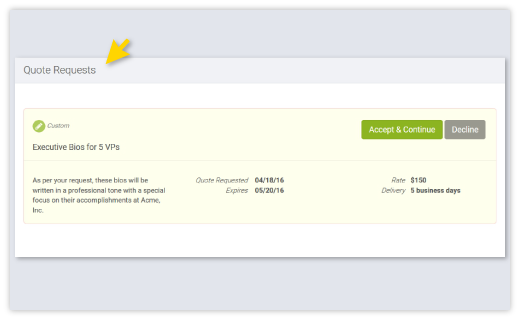 Whitelist our email IP on your spam filter. Certain email filters, such as Postini, may filter out emails from us. If you are using any of these filters, you'll need to whitelist our email IP. Please contact us for help.